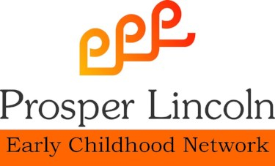 The Prosper Lincoln vision is that “Lincoln is a thriving community for people to live, work and play where there is equitable opportunity for all residents to have the income, education and resources they need to be successful.” High-quality child care supports young children to get off to a healthy start in life so they can reach their hopes and dreams. The first ever Lincoln Littles Day was held on Abraham Lincoln’s birthday, February 12. This early childhood education initiative was conceived and developed through a partnership with the Lincoln Community Foundation and the Nebraska Children and Families Foundation. With generous seed funding from the Buffett Early Childhood Fund and the W.K. 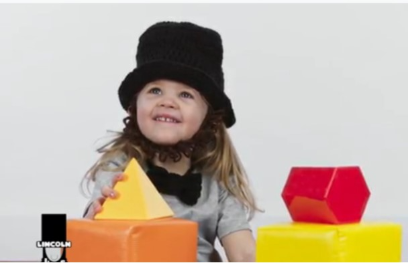 Kellogg Foundation, the Lincoln community responded in a big way and over $637,00 was raised to increase the number of babies, toddlers and preschoolers from low-income families served in high-quality child care settings. We know that 78% of all parents who have children under age 6 are in the workforce. Their children are in nonparental care and child care has come to play a critical role in the development of children. High-quality child care helps children to develop the range of skills necessary for success in school and beyond. Conversely, low-quality early environments can lead to deficits from which children often do not recover. We know that 42% of Lincoln families with children under age 6 live in poverty or near poverty. The average annual cost of child care for an infant can exceed $12,000 which is more than the cost of a year’s resident tuition at a public college. Working families are burdened by the high cost of child care and Lincoln parents from all income levels report expense as the biggest challenge to accessing high quality care. The Lincoln Littles Initiative can support families who earn up to 200 percent of the federal poverty guidelines with tuition assistance for high-quality child care. - Serve at least one child whose family qualifies for the federal child care subsidy program. The eligible provider applies to the Lincoln Community Foundation for a grant to increase or sustain the number of young children served from qualifying families. We are currently working to connect families with eligible providers as we seek to support the growth of both capacity (placements) and quality in early care and education (child care). Together we can help build strong children so that our community prospers. For more information, please contact Michelle Suarez at michelle.suarez@prosperlincoln.org.